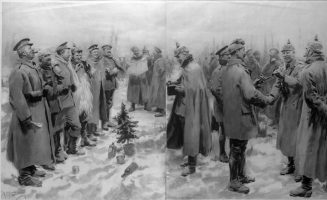 On a crisp, clear morning 100 years ago, thousands of British, Belgian and French soldiers put down their rifles, stepped out of their trenches and spent Christmas mingling with their German enemies along the Western front. The truce has been remembered as a testament to the power of hope and humanity in a truly dark hour of history. Join us as we celebrate this monumental moment in history with familiar carols with our choirs. Music & Religious Education Programs is the recipient of the December 2018. Click here and Select Music & Religious Education to support ASUUC.